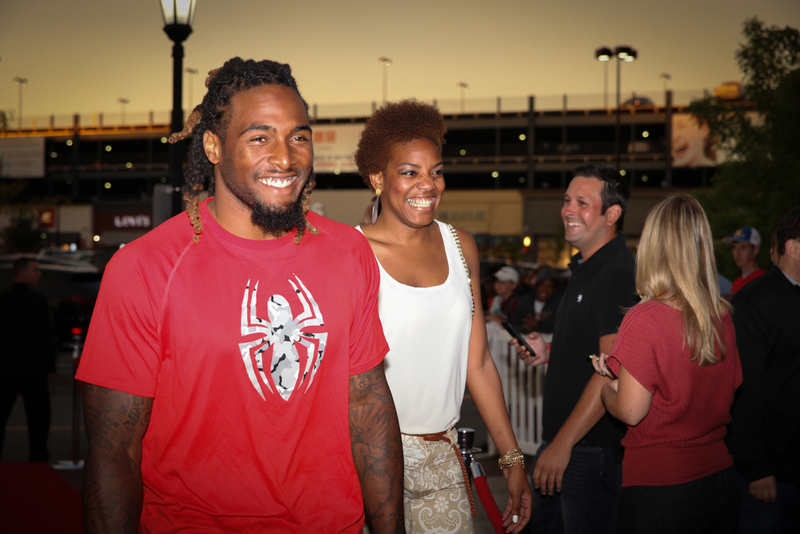 This past Monday sure didn't feel like any other Monday for these Ms Fits. 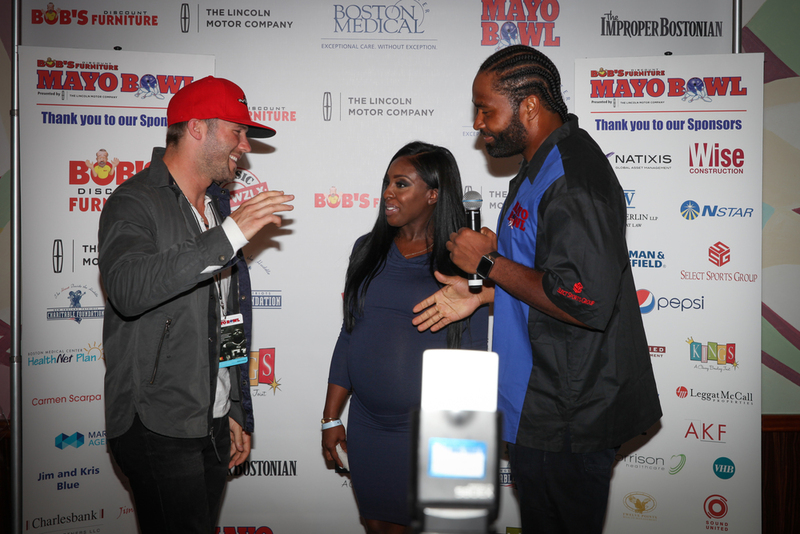 After putting on the glitz and glam at the MFA event (blog post to follow), we went fans and football at the 5th annual Mayo Bowl. 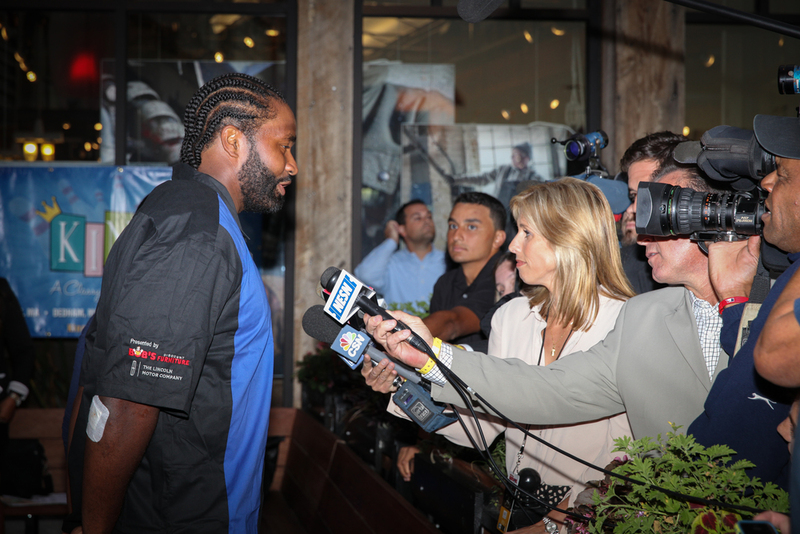 This celebrity bowling tournament thrown by Patriots Defensive Co-Captain Jerod Mayo and his beautiful wife Chantel, was held at Kings to raise money for the Boston Medical Center, and this year, the event was expected to raise over $300,000. Year after year, Jerod has brought out some of his famous teammates and some true Patriots legends. The roster couldn't have looked any finer... In attendance: Tom Brady, Vince Wilfork, Danny Aiken, Kyle Arrington, Brandon Bolden, Patrick Chung, Dont'a Hightower, Chandler Jones, Steven Ridley, Tavon Wilson, Devin McCourty, Matthew Slater, Sebastian Vollmer, Nate Solder, Julian Edelman, Aaron Dobson, Alfonzo Dennard, Rob Ninkovich and veterans Tedy Bruschi and Joe Andruzzi, along with Jared Sullinger from the Celtics. 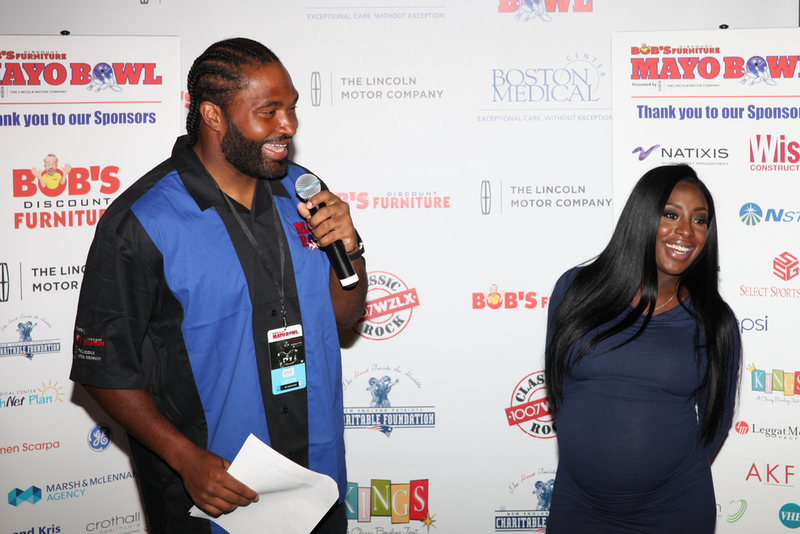 Jerod and Chantel became involved with the hospital to give back to the community that has supported him and his career as a Patriot, and so far have committed over $1 million to BMC. Before the bowling and the auctions began, Jerod and Chantel introduced us to a family whose youngest son had been born 3 months premature. This family's extremely challenging time was greatly eased with the help of the Mayos and the Boston Medical Center. It's events like these, and families like the Mayos that inspire us to do more for our community. While I definitely had my husband on stand-by (via text) to ask who most of the players were, it wasn't so much about the football for us, it wasn't so much about the fanfare, for Jessica and I, it was what Ms Fits is all about, inspiring people to come together to support one and other. And this charity truly made an impact on us.